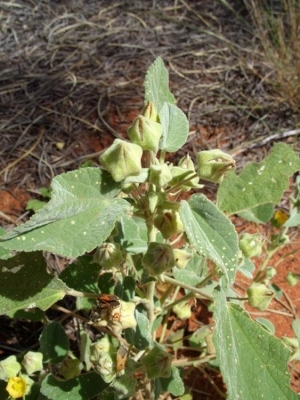 Desert lantern is a small shrub growing up to 1 metre tall. A fibre was obtained from the stem bark by the Aborigines, but it is unknown if the plant is still utilized today. The plant can be in flower for much of the year.